Go Rubbish Go. is the only company that you need for reliable and professional help with home clearance, office clearance and other such services! 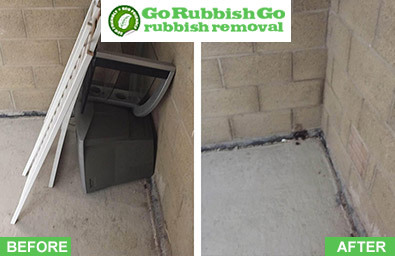 Our company is one of the best when it comes to rubbish clearance in Crystal Palace, SE19. With such a varied and fantastic range to choose from, you won’t be disappointed if you choose us! We have years of experience and lots of friendly, skilled and efficient team members, and with our help you won’t need to worry about the clutter and junk in your home again! Our brilliant range of top-quality services includes everything from garage waste clearance to general SE20 rubbish removal, and we’ll ensure that all of your needs are taken care of thanks to our guaranteed services. Hiring our team is the best decision that you can make, and if you live in the SE20 postcode district then we’re just waiting to help you! Find out all the information that you need to know by speaking to our Crystal Palace waste collection team today – dial 020 8610 9182 now and say goodbye to the clutter, rubbish and junk in your life! 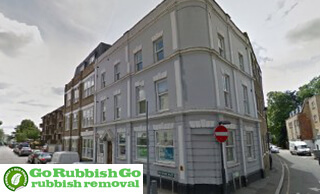 Contact Us Now For Superb Rubbish Removal in Crystal Palace, SE19! 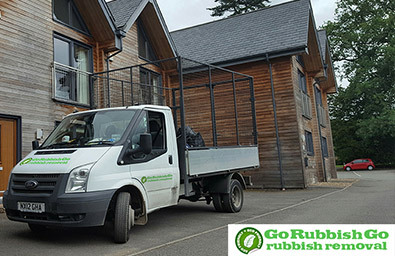 Whether you’re looking for a helping hand with builders waste removal following renovations or repair, or if you’ve decided to clear the junk from your attic or garage, Go Rubbish Go. is just a phone call away! Not only will you find a range of high-quality SE19 waste clearance services with us, but you can even get some of the most competitive prices in Crystal Palace too! Our rates are pocket-friendly and suitable even if you’re on a budget, and you won’t be surprised by hidden fees or unexpected costs. Whenever I need a waste disposal service in Crystal Palace, I call this team up. They always respond very fast and can send out a team in SE19 even on the same day! Impressive work! Find The Best Crystal Palace Waste Removal Services Tailored to Your Budget! Our property clearance services are ideal for your home and for your commercial properties. If you live in the SE19 area then we’re sure that you won’t find a better or more experienced company. Clearing your home can take up a lot of your time, so why not keep your free time to yourself and let our teams of experts handle the hard work for you? We serve all properties in the SE20 postcode district, so if you live nearby and you’re looking for Crystal Palace waste removal services, you don’t need to look any further! Find out more information about our services and hire us to clear up your life today. Call 020 8610 9182 now to speak to an expert! Call Today for a Free Consultation with a Crystal Palace Rubbish Removal Expert! We know this may all sound too good to be true, and that’s why the experts in our office are waiting to take your call and talk you through the rubbish disposal SE19 services we provide, we’ll even provide you with free estimate with no obligation required to buy! We are so sure that you will love our services that we have no need to try and lure you in, we just let our service and our prices speak for themselves! If you are looking for a waste disposal in Crystal Palace, SE19 that will put you first, and cater for your every need for a price that you can afford, call us today on 020 8610 9182 and find out we can do for you! Crystal Palace is an area found in south London, and it forms a part of the London Borough of Bromley. Mostly a residential area, Crystal Palace lies just eight miles away from Charing Cross. Crystal Palace takes its name from the Crystal Palace landmark, which stood in the area from 1854 until the early 1900s. The postal districts of Crystal Palace include SE19, SE20 and SE26. There are lots of fantastic sights to see in the area, including the Crystal Palace Park, which dates back to the Victoria era, as well as the Crystal Palace Triangle, a collections of shops and restaurants that shouldn’t be missed. Thanks to its many A roads, Crystal Palace is easy to navigate, and the Crystal Palace railway station makes travelling incredibly fast too. Other popular transport services in the area include its many bus routes and excellent tram services. Nearby places include Dulwich, Forest Hill and Anerley.